There are multiple hazards when processing oil and gas, from combustibility to harmful and deadly gases. Gas detection is critical to protecting people and property from these hazards. 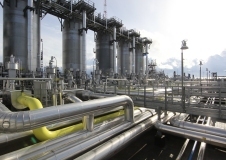 Process equipment, pipelines, valves, compressors and tanks are common potential sources of hazardous gas leaks that endanger people, equipment and facilities. 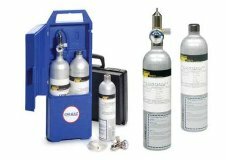 AS/NZS ISO 60079-29-2 Ed1.0: Explosive atmospheres – Part 29-2: Gas detectors – Selection, installation, use and maintenance of detectors for flammable gases and oxygen. Its important that your gas detection fleet is regular checked, tested and calibrated. Reliable equipment, safe user behaviour and adequate training are the three components required for a effective gas detection system. Training is just as important to gas detection as having the appropriate equipment. If staff are unaware of how to effectively and safely operate and calibrate their gas detection equipment then they put their own lives and colleagues well being at risk. Whether it’s small portable gas detector or a large fixed gas detection system, Noventis is well equipped specifying the right gas detector to meet your individual site requirements. Potential hazards are from Ammonia, Carbon monoxide, Carbon dioxide, Chlorine, Hydrogen, Hydrogen sulphide, Methane, Propane, Sulphur dioxide, Volatile organic compounds, Combustible gases, Oxygen deficiency/enrichment and more.